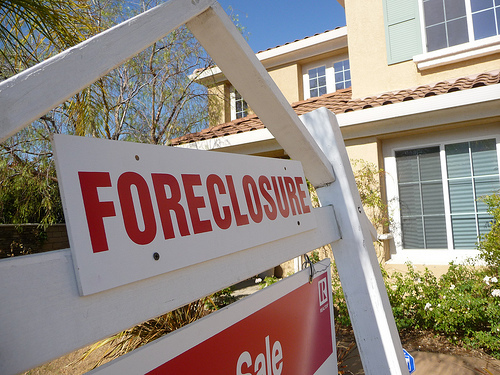 The mortgage crisis was clearly one of the dominating catalysts of the recent economic fiasco. While many other factors contributed, this was one of the most visible and visceral to most people. Thus many people, particularly homeowners, are now wondering whether they can breathe a sigh of relief. By now we’re largely aware of the underpinnings of this crisis. Demand for securitized debt led to tremendous demand for mortgages. This demand led to lowered lending standards, which led to tremendous demand for housing. The demand for housing led to soaring housing prices. When those with the least capacity to pay their loans, who incidentally had the most onerous terms to their loans, couldn’t make their house payments, the whole house of cards came down. Foreclosures led to dropping housing prices, which led to more defaults, which continued the cycle. During all of this we were told the mortgage crisis and the subprime crisis was one and the same. Many people equate the end of the subprime problems with the end of our troubles in general. This leads us to wonder if the subprime crisis is truly over. Signs suggest that this is the case.1 After huge surges, the default rates on these loans have come down sharply, leading many to suggest that the crisis is over. Of course, that depends on which crisis you’re discussing. Subprime loans may very well be dropping in their defaults, however that statistic neither creates an increase in demand nor says anything about the impending wave of defaults in other types of mortgages. Falling home prices put everyone underwater increasing the chance of defaults across the board. Although many people who bought houses during the boom bought them with subprime loans, many more did not. Defaults lead to a vicious cycle. The owner of the mortgage immediately wants to sell the property, which increases supply, which lowers prices, which leads to more defaults.2 Given that the subprime section of the crisis seems to be subsiding, the question becomes: What makes us think this process is not about to repeat itself? Option-ARM mortgages are currently getting a lot of media attention.3 These are loans that have a low introductory payment, however over time that rate can be adjusted. While Option-ARM mortgage holders may not be as likely to default during their introductory period, when their rates go up and they’re already underwater default rates are sure to climb. While many stories are currently in circulation about this segment of the market, it small compared to Alt-A and Prime mortgages. While the Option-ARMs may further the cycle this cycle seems sure to repeat in Alt-A and Prime mortgages as well. Even though these loans were made to fairly safe lenders, due to the crash, they frequently owe more than their house is worth, are possibly out of a job and very likely facing a weak housing market. If we look at Alt-As by vintage, we see soaring rates for those made in later years. 4Prime mortgages with similar vintages see a similar curve, just starting later. With all of this evidence and the relative size of the markets, it seems highly premature to suggest the worst is over. I think that the restructuring of the mortgage industry is over, which was a big part of what began this crisis. There won’t be any AIGs selling securitized debt anytime soon or any Countrywides loaning 107% to mildly qualified buyers. The last part of this downturn are going to be the foreclosures and short sales that are caused by pure market forces, no more artificially influenced defaults. As the economy recovers so will the housing market. Look for the point at which job creation is greater than job loss as a true turning point (we’re close). Thanks for the comment. Even if we stipulate that there are no more forces artificially affecting future defaults, which I’m not sure i agree with, I’d suggest you haven’t seen all the effects of the previous artificial influence. You’ve seen how bad lending standards and the bubble bursting have affected subprimes, I don’t think you’ve seen how they’re going to affect other types of mortgages. Option-ARMS seems just as destructive, albeit a smaller, market as subprime. Then you have all the “qualified” lenders who are no longer qualified and underwater on their house. I’d say these factors could very well indicate that you’re about to see defaults in those markets that are just on the upswings and Alt-A and Prime mortgages dwarf subprime. I agree with you Brad — I think the next ‘wave’ down is going to take a lot of people by surprise. To me, the idea is simple — decades of debt and credit expansion are not going to be unwound in just a couple of years. Not to mention that the contraction is bound to take us back to some sort of ‘new normal’. The housing market will never be what it was again, at least probably not during our lifetimes. Just as the dot-com bubble did not return, nor will the housing bubble. There seems to be a mortgage crisis of some kind every decade.